Groundwater in Tanzania is a critical water resource that can sustain communities during dry seasons and improve health and education outcomes for community members. Large rural areas of Tanzania lack access to groundwater, frequently due to underproductive wells and non-functional pumps or distribution systems. Improved understanding of geology and groundwater monitoring could guide the installation of new, productive wells and the management of existing wells, but data are scarce. Audrey Sawyer and Zaina Hussein will describe factors hindering access to water and identify opportunities for improvements in groundwater information. Audrey Sawyer is an assistant professor in the School of Earth Sciences at The Ohio State University. Sawyer’s research is centered around the relationship between surface water and groundwater as well as the movement of objects and heat in water. Sawyer’s computation-heavy research methods include experiments that model water transport processes. Zaina Hussein is a Ph.D. student from the University of Dodoma in Tanzania and is currently a visiting scholar at Ohio State in the Sawyer lab. Hussein teaches undergraduate environmental engineering students at the university level in Tanzania. Photo: A 2016 site assessment of over 40 villages with non-functioning water wells gave researchers such as Audrey Sawyer clues about the characteristics of the underlying rock–including its potential for sustainable use as a source of groundwater. 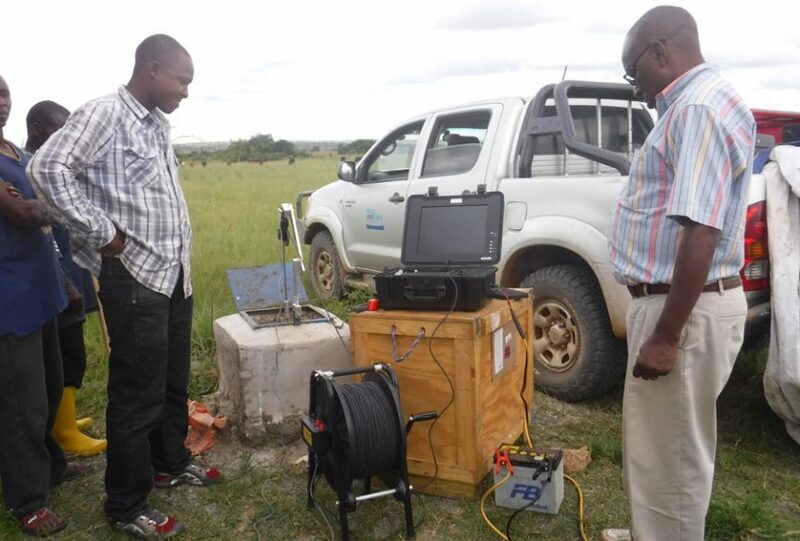 Shown here: representatives from WorldServe International monitoring a borehole in the Tanzanian region of Rukwa in the 2016 survey sponsored by GWI.